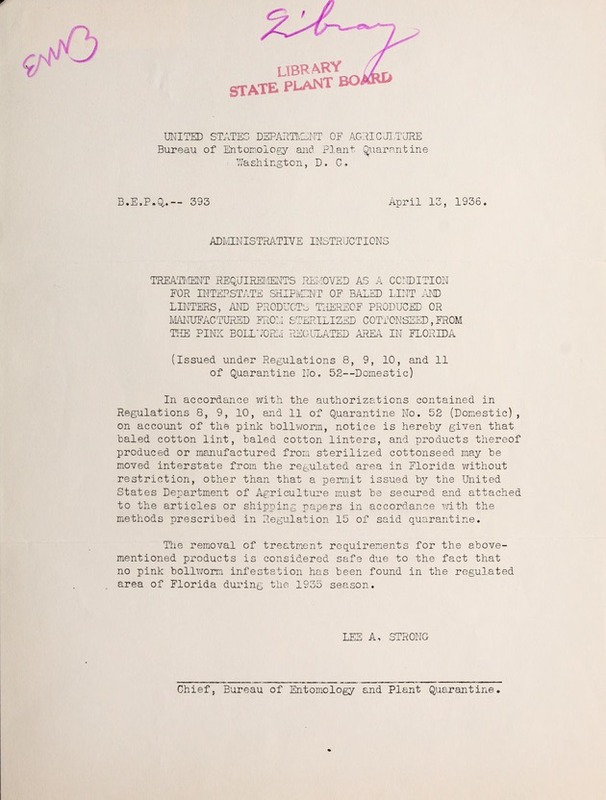 B.E.P.Q.-- 393 April 13, 1936.
methods prescribed in Regulation 15 of said quarantine. area of Florida during the 1935 season. Chief, Bureau of Entomology and Plant Quarantine.